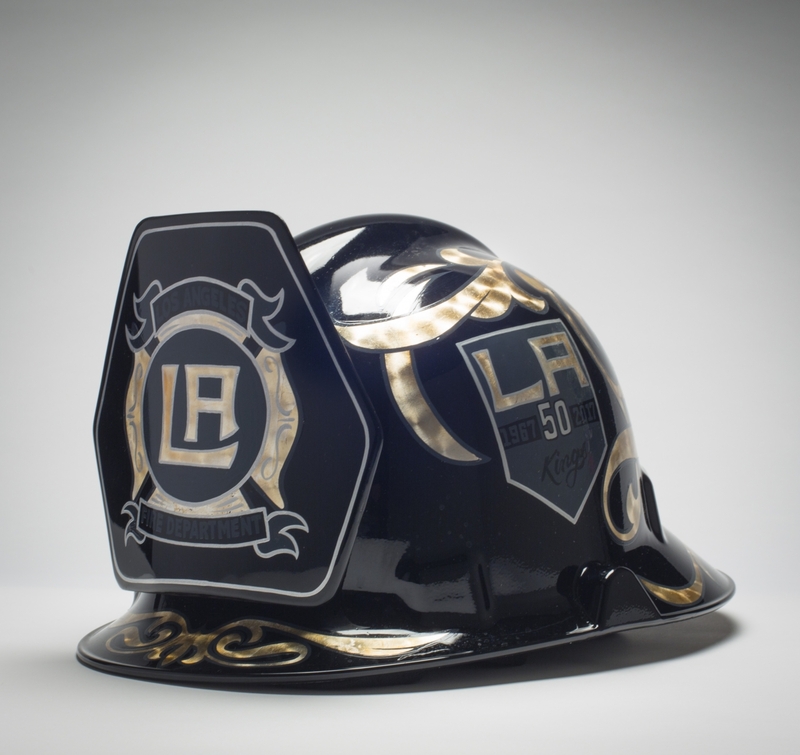 The Kings Care Foundation will auction off the signed LA Kings fire helmet as part of LA Kings Firefighter Appreciation Night at STAPLES Center on January 6, 2018. Proceeds to benefit the Los Angeles Fire Department Foundation. AEG’s LA Kings will host its annual Firefighter Appreciation Night on Jan. 6 at STAPLES Center as the Kings take on the Nashville Predators. A cornerstone of the team’s community outreach, the Kings Care Foundation will donate tickets to local organizations that serve firefighters and their families in addition to encouraging LA Kings season ticket members to donate money toward a fund to provide free tickets to local firefighters. Kings Care Foundation will also team up with the Los Angeles Fire Department Foundation in auctioning fire-themed items including a LA Kings fire helmet, leather helmet badges, hose nozzles and more signed by current Kings players to benefit the Los Angeles Fire Department Foundation. During the game, the Kings will honor retired Los Angeles Fire Department Captain Derek Vehling as the Hero of the Game. Proceeds from the night’s 50/50 Raffle will be donated the Los Angeles Fire Department Foundation and the Salvation Army to benefit victims of the recent fires in Southern California. The Los Angeles Fire Department Foundation supports the Los Angeles Fire Department in protecting life, property and the environment by providing essential equipment, training and public outreach programs to supplement city resources.